If you need a high-end Android phone that doesn't have a huge display, the Sony Xperia XZ2 Compact is arguably your best choice of 2018. Officially released in the US last month, the XZ2 Compact can now be purchased for $599.99 - that's $50 off its normal price ($649.99). B&H is the only retailer that's selling the unlocked Sony Xperia XZ2 Compact for $599.99, US warranty included. However, this price is valid only for the Moss Green version of the phone. If you want to get the handset in other colors - Black, White Silver, or Coral Pink - you'll have to pay the full $649.99 price. The unlocked Xperia XZ2 Compact is fully compatible with AT&T, T-Mobile, and even Verizon Wireless, but it does not work on Sprint and US Cellular. 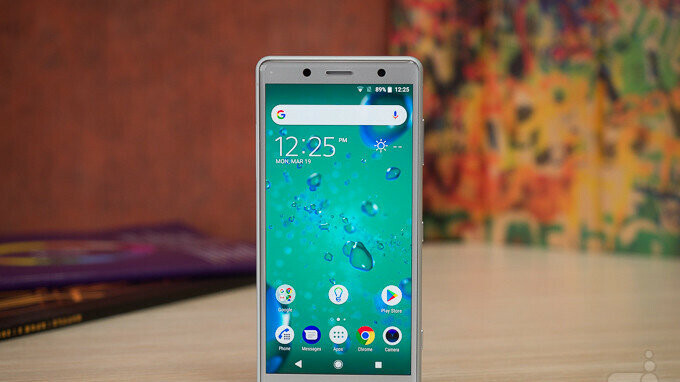 Powered by Qualcomm's latest and greatest Snapdragon 845 processor, the Sony Xperia XZ2 Compact runs Android Oreo and sports a 5-inch display with 1080 x 2160 pixels - as you probably know, a screen of this size is a rarity on modern high-end smartphones (at least in Androidland). You can take a closer look at Sony's newest mini handset in our Xperia XZ2 Compact review. To buy the phone for $599.99, visit B&H via the source link below (this deal is likely short-lived, so you may want to act fast). Why any person would buy an iPhone 8 for $700 over this Xperia XZ2 compact is beyond me. Especially when this has a larger 18:9 display, much smaller bezels, higher resolution than an iPhone 8 plus in a physically smaller size than an iPhone 6, 6s, 7, or 8. The cameras are better on this Xperia XZ2 compact compared to an iPhone 8 or 8 plus. The XZ2 compact can do 3D scanning as well. The XZ2 compact has a 18:9 HDR display and can record in 4k HDR, which no iPhone can currently record 4k HDR video, and the the only iPhone with a HDR display is the iPhone X. The XZ2 has faster LTE at 1.2 gigabit, larger amount of RAM, and more. Well worth $599. Because it cost more, so they can brag that they can afford it. duh, because they want IOS. they like the OS better or it is compatible with their computers and other devices. I'll guess that the camera is also better on Iphone. Sony has good cameras, but not as good as pixel, apple, and samsung. Xperia XZ2 cameras can record 4k HDR video, and record slow motion video at 960 fps at 1080p. Something that NO iPhone can do. Btw you can get Google Lens for Xperia XZ2's, and you can even get Google's Pixel 2's camera app for other Android smartphones, including the Xperia XZ2's. So BS that the iPhone camera is more advanced. I bought this from them and it was a bonus that is a color I would have bought anyway! I'm seriously looking at this device. I can't stand that phablets are now called normal sized phones. I guess I'm the "get off my lawn" old man now. Looking at the reviews and the specs of this phone, it looks to be an amazing device.